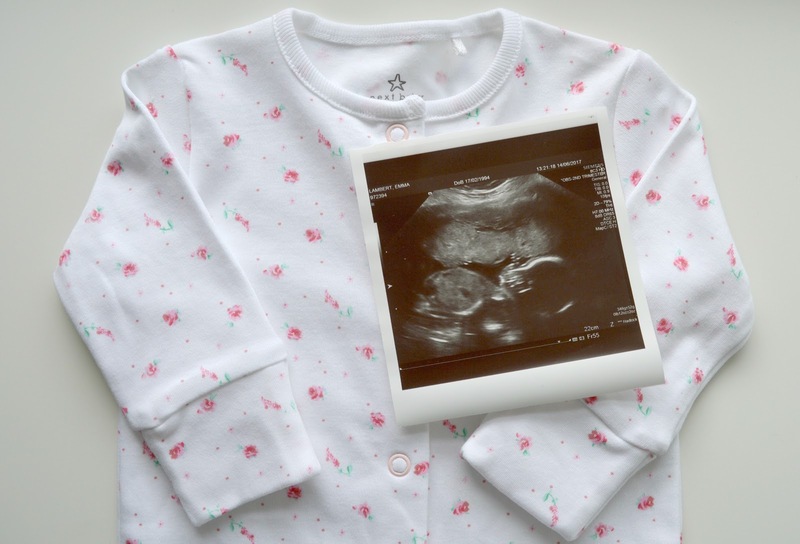 Baby is now covered with vernix (a white protective coating) that protects skin from damage in the womb. She now measures around 10.08 inches from head to heel and she now weighs around 10 ounces (although our scan below says 12 ounces!). I've been feeling good this week! 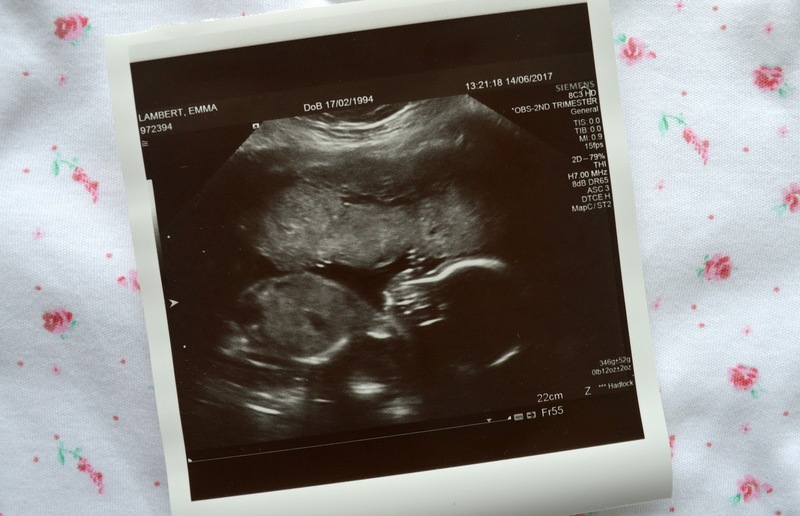 I was a little anxious before our 20 week scan but it couldn't have gone better actually! Our sonographer was lovely and talked us through everything, which really put my mind at ease. Thankfully everything is fine, baby is still a girl and is measuring perfectly! Oh and look at that little hand by her face, so cute! Symptoms wise - there's the usual sickness which is around twice a week but I'm used to it now. I am so tired at the moment and I've resorted to taking a nap most days, which is convenient when Sophie's at nursery! I've had a few mood swings too (sorry Toby!) but that could just be down to tiredness. I've also had more round ligament pain, which I find really uncomfortable. I've also started getting the occasional heartburn, which I don't remember getting until later on last time around. Although that reminds me I need to stock up on some Gaviscon! I'm still sleeping really well, although I have been waking up in the night to use the toilet! I didn't think it would happen so soon, but never mind! I usually fall back asleep pretty quickly. I have started to feel a little more movement recently, which is just amazing! The weather has been really hot the past couple of weeks and I've been loving eating new potatoes, so random I know! I've noticed eating cereal triggers my sickness so I've been avoiding it and eating toast for breakfast instead. Seeing our baby girl at the scan! I'm so relieved everything is as it should be. I'm looking forward to Sophie's birthday party at the weekend but if we're talking baby related - then I'm looking forward to reaching 24 weeks which I think that's a big milestone as it's the week of viability. Hope the heartburn settles. I used to get awful heartburn and acid reflux and always had some Tums on hand. Oh bless. This is so exciting. I never had heartburn so have no tips. Sorry!